Call us today at 905-309-7676 or complete the form below. 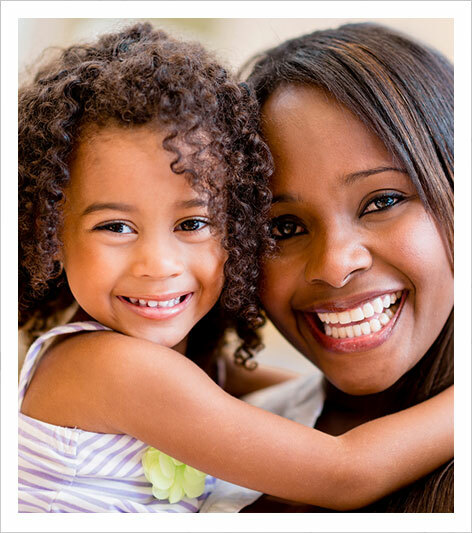 Dr. Thomas and her team are committed to providing quality care and friendly service for your entire family. Stop by for a visit and see what we mean! At the Dental Centre, our mission is to improve our patients’ lives by enhancing their smiles and giving the confidence that comes from having healthy, strong teeth that will last a lifetime. Our dedication to continuing education ensures that we provide the most advanced techniques, materials and technologies to bring out the absolute best in your smile. Our family dentistry and general dental services incorporate advanced dental technology to ensure a positive experience when visiting our dental office. Our warm, friendly and caring staff will always be available to welcome you and your family when you visit our Grimsby dental office. You are a miracle worker and a very patient one at that. Thank you so much for fixing my crown. I had worked myself up into thinking I was going to have to go through the whole process all over again, but now my life is back to normal and my mouth feels good again. I’m very lucky to have you as my dentist. Hi Dr. Thomas You are a miracle worker and a very patient one at that. Thank you so much for fixing my crown. I had worked myself up into thinking I was going to have to go through the whole process all over again, but now my life is back to normal and my mouth feels good again. I’m very lucky to have you as my dentist. Thank you again for everything. Upon moving to Grimsby last year I knew I had to find a new dentist. 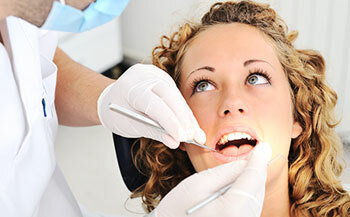 I have always being afraid of dentist visits so I chose very carefully. I did my research and Dr. Bina Thomas was my dentist of choice. It was one of the best decisions I have ever made. From the minute I walked in the door I knew this is where I needed to be. Dr. Thomas’ staff are friendly and inviting making you feel so at home. Dr. Is lovely and through all the procedures I had done, there wasn’t a drop of pain. I had implants, crowns & veneers done and am beyond thrilled with the results. I would recommend this amazing lady & her incredible staff to anyone looking for an Excellent Dental Experience. I am very happy with my crowns! For my entire adult life my lower front teeth were crowded. They detracted from my smile and were difficult to maintain. The crowns you provided have improved my smile 100% and made cleaning my teeth so much easier, resulting in healthier gums. The process was much easier than I thought. My discomfort was minimal, much less than having a filling. Thanks again to you and your great staff! Dr. Thomas, I am very happy with my crowns! For my entire adult life my lower front teeth were crowded. They detracted from my smile and were difficult to maintain. The crowns you provided have improved my smile 100% and made cleaning my teeth so much easier, resulting in healthier gums. The process was much easier than I thought. My discomfort was minimal, much less than having a filling. Thanks again to you and your great staff! Dr. Thomas’ dental practice is the best I’ve ever experienced, and I’m so glad that I found her. She has state-of-the-art-patient-friendly equipment, an exceptional exceptional staff, and even a lovely home-like office that is a pleasure to visit. I believe that she is one of the most capable, caring competent dentists ever. As well, her focus on providing an outstanding patient experience at every visit is so appreciated. There are a number of dental practices in the Grimsby area, but I have no doubt that this one is the absolute best in all of the Niagara region – superior in all respects! I have been going to Dr Thomas for a few years now. She has gained my trust with her wonderful sense of caring. At Dr. Thomas’practice you never feel like you are a number, sitting in a chair. You quickly feel like you are part of the family! From the moment you open the front door, warm coziness of the fireplace and friendly staff never cease to amaze me. I highly recommend this quaint dental practice to anyone searching for quality care.